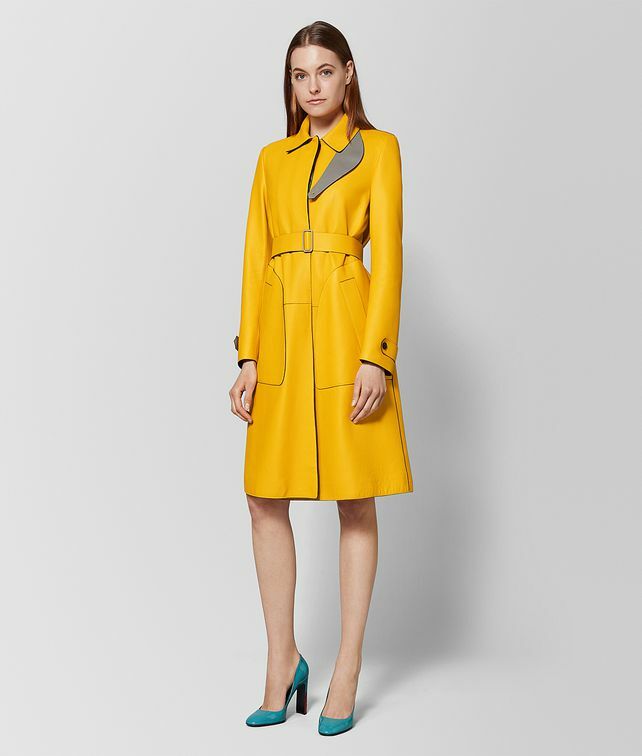 This impeccably-cut coat is crafted from refined matt deerskin with a distinctively tactile look and feel. Its bold sunset yellow hue is balanced with soft cement-coloured accents, while a fine black outline reinforces its meticulous panel work. The minimalist style features a belted waist with a signature brunito-finish buckle.